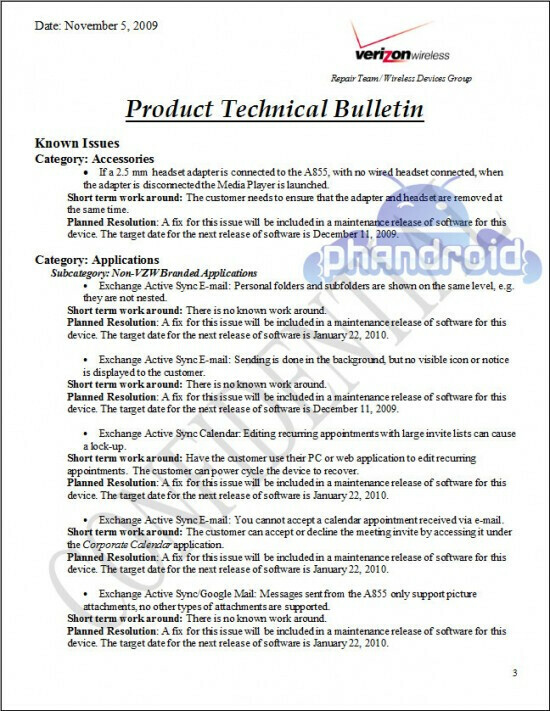 OTA upgrade for Motorola DROID and HTC DROID Eris on December 11th? 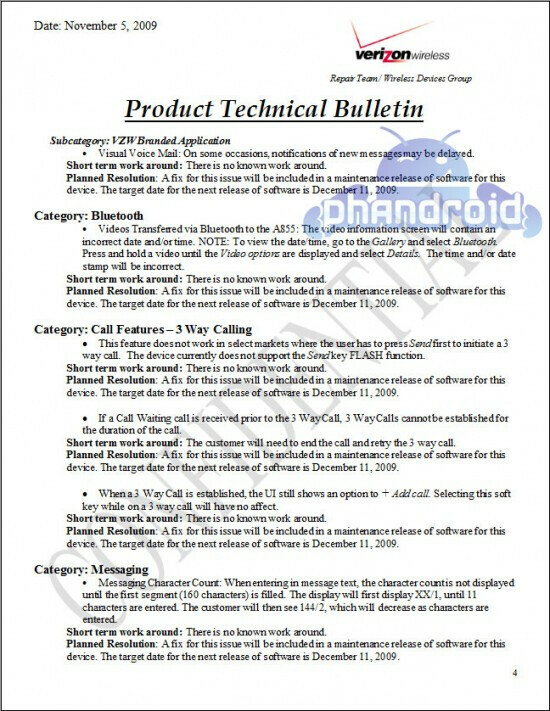 No sooner has Verizon launched its' first two Android powered devices, the Motorola DROID and the HTC DROID Eris, than the handsets need to have an upgrade to fix some issues. Instead of letting the problems fester, Big Red is doing the right thing and is sending an OTA update for both handsets. 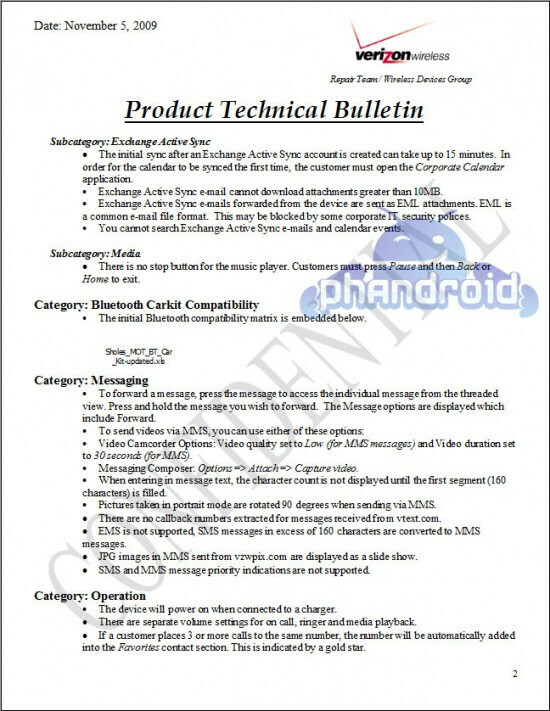 According to BGR, the expected date of the update is December 11th. 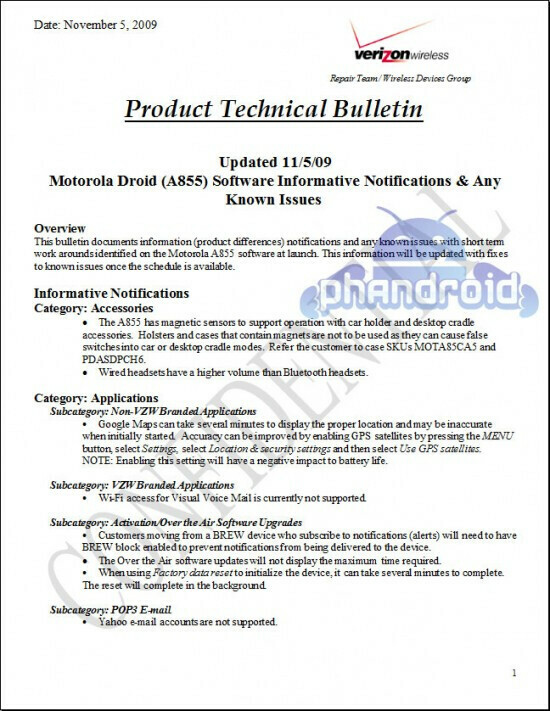 Meanwhile, an internal Technical Bulletin was leaked that shows the known problems with the DROID. I don't notice any faults either. Nothing has froze and everything seems smooth. The google maps is awesome. You must have a lemon. 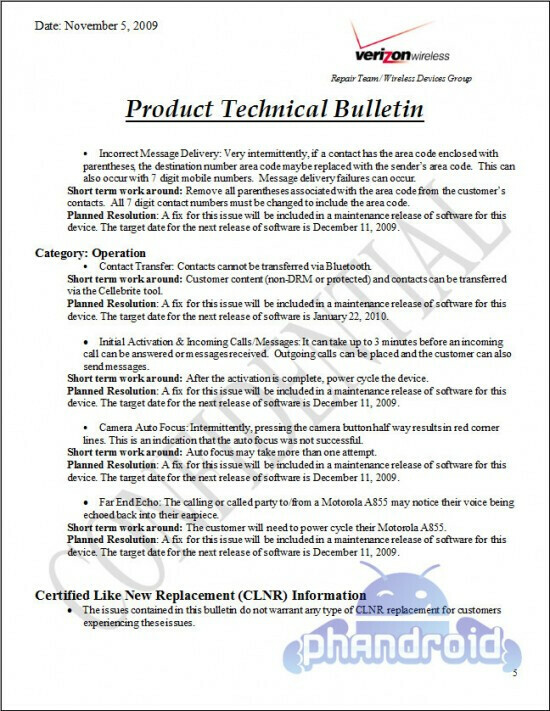 Don't call cs, speak to manager at store. No battery should get that hot, ever. some of my contacts dont show up when i try to type their name creating a text message, i have to go in through contacts and then press the smiley face text button which i find strange. i have had at least 4 apps freeze and tell me to force them closed. i have had the text messaging app freeze also. They pause for a few seconds, i close them, then they work fine. just minor glitches. Anyone know how to save favorit addresses in google maps? or do i have to create a contact labeled "home" and input the address just so i can say "navigate to home"? thats what i've been trying to figure out. it would be nice if there was a designated home location. Went to vzw the day it was released to mess with it and while I was in the camera mode it froze and said, "unexpected error" and brought me back to the home screen. It terrible that i had that happen and i don't even own one yet. Hopefully they'll have a fix soon. Thinking about picking up two by the end of the year. Unless something better comes out from vzw. never happened to me. mine has no flaws. i'm not use to owning such a perfect phone, i mean after owning the storm.